Netizentown: Han Suk Kyu and Kim Rae Won get praised. Prison gets divided reviews. Han Suk Kyu and Kim Rae Won get praised. Prison gets divided reviews. [+1585, -520] (1/10) It's like having two top players like Messi and Ronaldo but with no goals. That's the kind of movie it is. 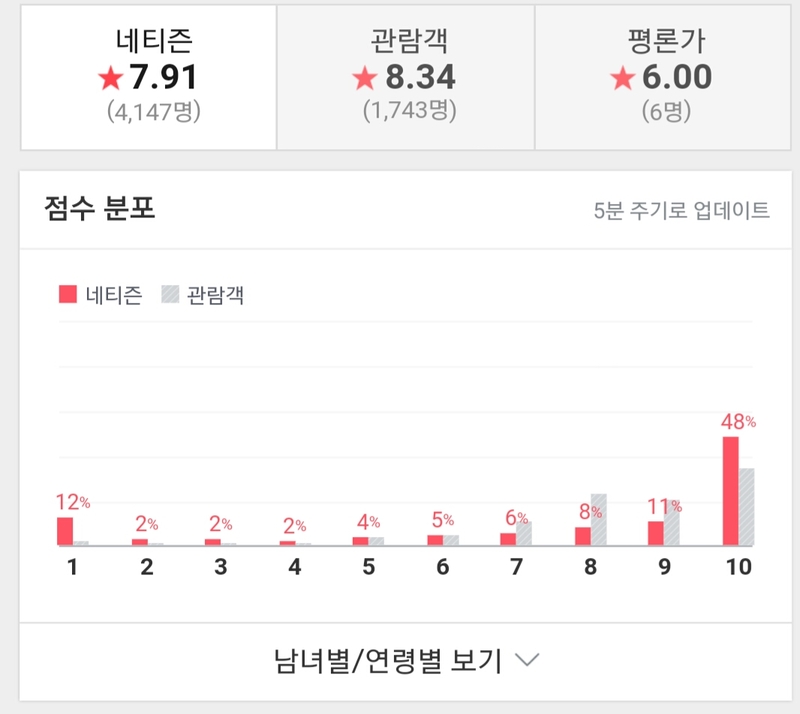 [+476, -155] (10/10) Since the score is low I gave it a 10... but honestly it's 8.5 for me... Entertaining movie, Han Suk Kyu and Kim Rae Won didn't disappoint. [+316, -92] (10/10) It's been really entertaining. Seeing the whole thing was such a thrill ! 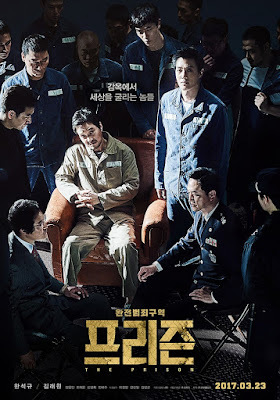 [+233, -57] (9/10) It's quite a brutal movie and the ending is lacking but the development and material are good. Most individual performances are really good but Han Suk Kyu and Kim Rae Won are something else! 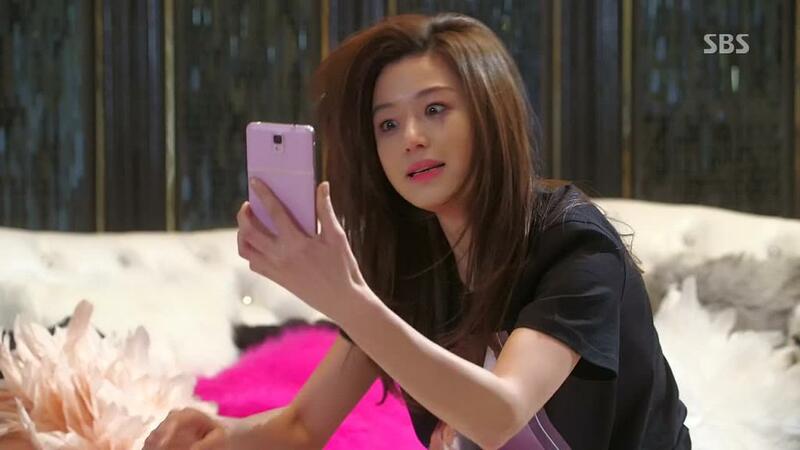 [+1331, -489] (1/10) I only trust Han Suk Kyu and I saw his last battle with Kim Rae Won at the watch tower.. oh my goodness... there's nothing i can remember except screaming... It's a waste of money. Is this the best you could do with such good actors? [+510, -178] (1/10) Except for the acting, it's so vain and boring. I had my phone in my hands the whole time. [+546, -216] (10/10) Been a long time since I saw a well made Korean movie. I had so much fun. Han Suk Kyu and Kim Rae Won were the best. [+464, -159] (1/10) Why is there no zero rating or negative score option? [+376, -140] (10/10) Was so cool. I enjoyed it! 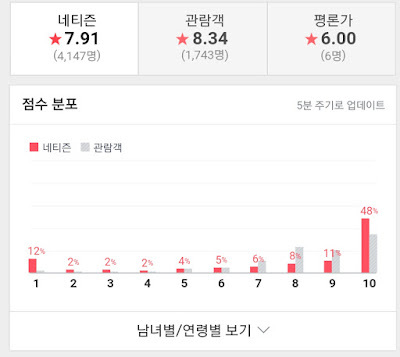 [+270,- 128] (10/10) Han Suk Kyu's performance was the best! And Kim Rae Won's was like watching Sunflower all over again! [+364, -161] (1/10) Like experiencing two hours of prison then coming out... damn. [+183, -60] (10/10) Han Suk Kyu's charisma is something else. And Kim Rae Won has great chemistry with him! [+83, -8] (10/10) As expected from Korea's top actors Han Suk Kyu and Kim Rae Won! Everyone acted so well and I enjoyed it. It was really fun!